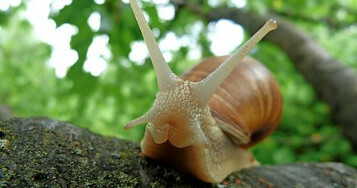 I offer you an ecological advice, efficient and free to drive away gastropods (snails and slugs) from your plants and flowerbeds, without killing them. This process repellent does not harm the environment or human health and it prevents plants from being eaten by snails and slugs. The process is discreet and elegant, it fits easily into the decor of your garden. To view this free advice simply log onto the site and come back to the article the solution will be found in the tab "solution" that will appear next to the tab "Description".